'Moneyball': Tracking Down How Stats Win Games In 2002, the Oakland A's made history, winning 20 games in a row to set a new American League record. In Moneyball, writer Michael Lewis goes behind the scenes and explains how the A's used statistics and analytics to compete with teams with much bigger payrolls. 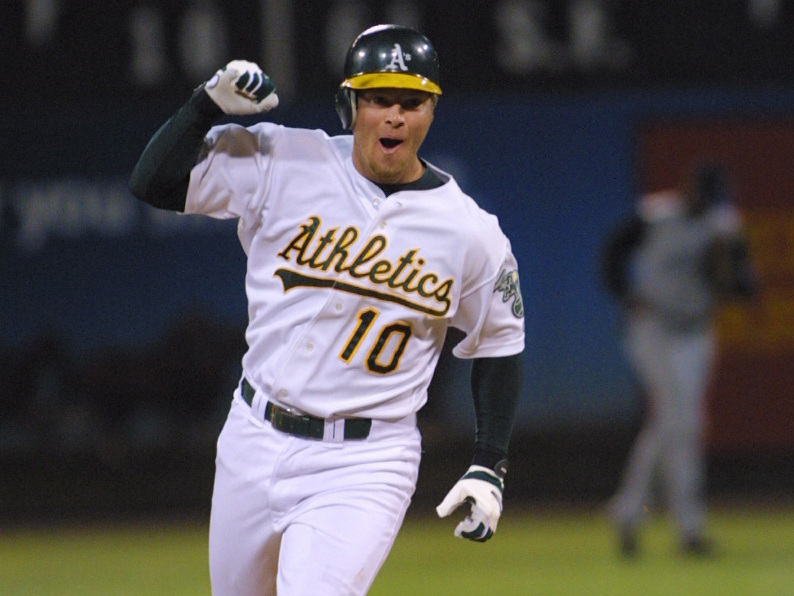 Oakland Athletics' first basemen Scott Hatteberg is one of the people profiled in Michael Lewis' 2003 book Moneyball. This interview was originally broadcast on May 28, 2003. 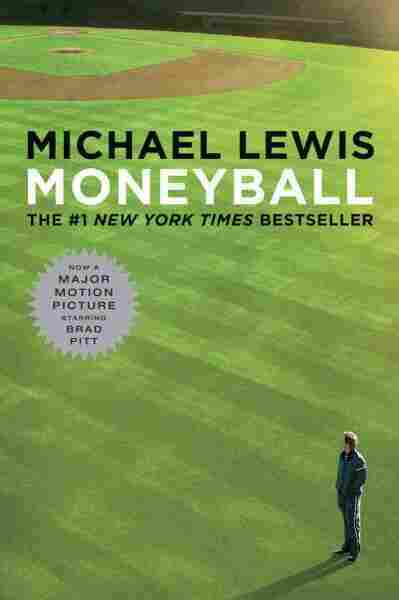 The film Moneyball, which is based on Michael Lewis' book, opens on Friday. When Michael Lewis started researching his book, Moneyball, he had a simply question: How did the Oakland A's, a motley collection of baseball misfits and utility players with the second-lowest payroll in all of baseball, win so many games? The answer lies, as it often does in baseball, with statistics; but in this case, a very creative and unusual use of statistical analysis on the part of the A's general manager, Billy Beane. Beane paid attention to numbers collected over the years by a group of baseball enthusiasts, including software engineers, physics professors and Wall Street analysts, numbers that most everyone else in baseball ignores. These stats enabled Beane to discern the unique talents of undervalued players no one else wanted. He then assembled and regrouped them on the field, eventually pulling together a winning team last year. Michael Lewis followed the A's through the 2002 season. In 2003, Terry Gross spoke to Lewis at the beginning of the baseball season and asked him to talk about the prevailing wisdom that teams with the most money to spend on players win the most games. "It was a losing team when he took over in 1997, and it's gotten better every year under his stewardship. And Billy Beane came into the organization and embraced the idea that there was such a thing as new knowledge in baseball, and you could research baseball and find out interesting things about it by researching it, and that the way baseball teams were conventionally run had all sorts of inefficiencies in it that could be exploited for profit. And so you've got, essentially, one team that's living purely by its wits and making a good run of it." "You can use statistics to sort of dig below the surface of baseball and find the hidden game, find attributes, for example, in players that are very important but not highly valued in the marketplace, and also find attributes in players that teams pay a lot for that actually aren't worth that much when it comes to victory and defeat." "Scott Hatteberg had spent 10 years in the Boston Red Sox organization; four of them in the minor leagues and I guess almost six of them in the big leagues. He'd been a catcher, and the Red Sox viewed him as a catcher who, you know, wasn't a disaster as a hitter and that was because they didn't value what he did really well. What he did really well was he got on base at a rate way above the big-league average, which is the single most important thing that a player can do. And in addition--and this is a more subtle virtue in a hitter--each of his plate appearances were inordinately drawn out. He would always see more pitches per plate appearance than just about any player in the league. And he rarely swung at pitches that were out of the strike zone. Now the effect of this is to subtly wear down the opposing pitching. It's good for the team to have a team full of guys who don't swing at balls and who force the opposing pitcher to throw lots of pitches, but it's even better to have a team full of guys who get on base a lot." "Anyway, the Oakland A's had seen these qualities in Scott Hatteberg because they measured things like the number of pitches he saw per plate appearance and they watched very closely for on-base percentage. And so they had been, for several years, praying they could some way get their hands on Scott Hatteberg. Well, Scott Hatteberg had an accident during spring training with the Boston Red Sox and ruptured a nerve in his throwing elbow, and it basically meant he couldn't feel his hand. He had to relearn how to throw the baseball. He was finished from that moment on as a catcher because you have to be able to throw as a catcher. And the Red Sox then tossed him on the scrap heap. They had no sense that he was valuable as a hitter." "Well, Scott Hatteberg ends up becoming a free agent and no one wants him. I mean, it was actually extraordinary. He becomes a free agent, I think, it's two days before Christmas at midnight, and at 12:01, Paul DePodesta, the assistant GM of the Oakland A's is on the phone to his agent saying, `We got to have this guy.' And as his agent said, `Look, we were looking at a market where 29 teams regarded Scott as useless, and one team desperately wanted him.' So Hatteberg became the first baseman of the Oakland A's last year, and he's been terrific. He's been a subtle but extremely important offensive player, and the reason they got him is that no one else saw the value in him. And because no one else saw the value in him, he was cheap. They didn't have to pay him very much." 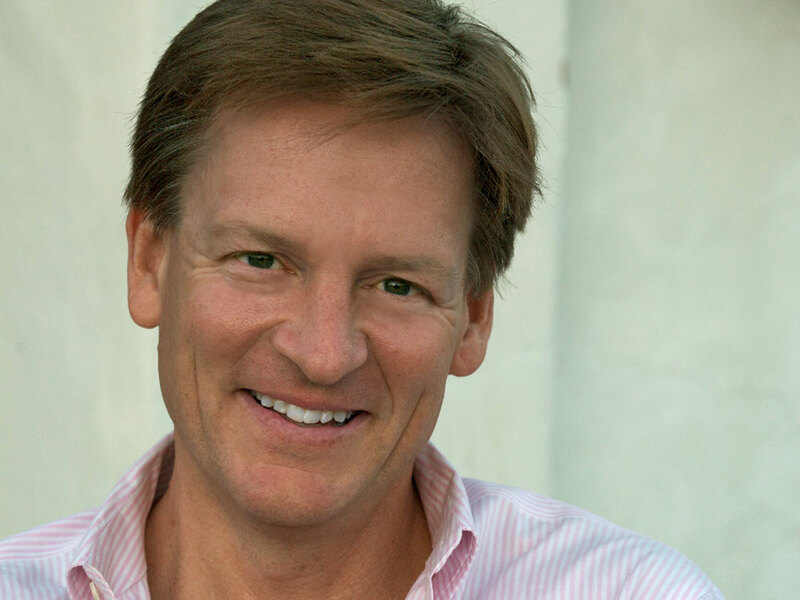 Michael Lewis is currently a contributing editor to Vanity Fair. "The minute you feel like you have to do something, you're screwed; that you can always recover from the player you didn't sign, but you may never recover from the player that you did sign that you shouldn't have. And baseball is littered with teams that have signed punitive superstars to huge contracts who then don't pan out. And the franchises are wounded or sometimes severely crippled by the fact that they don't have any money left to go and pay other players, and they're left with this superstar who's not performing and earning $80 million. In baseball, it makes much less sense to do this than in most sports because one guy on a baseball team rarely makes that much difference. It really is a team sport. So the notion that you've got to sign this superstar or that superstar is really a little silly, and that's the first principle of Billy Beane's school of management."